Do you want to find the best Apollo campervan rental rates in New Zealand? Actually, you won't be needing discount coupons anymore as you will get the best and affordable prices right here! Search for your car above, or find more information about the supplier below. Apollo is one of the company leaders in the campervan rental market. Apollo offers high quality campervans and motorhomes rentals, including 4WD Campers rental for more adventurers, across Australia, New Zealand, Canada and the USA. 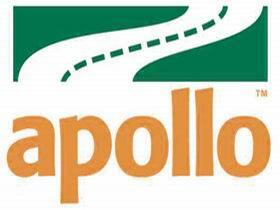 Pick up an Apollo campervan from convenient depots located near the airports and city downtowns. Throughout Australia you can book a campervan hire with Apollo in Adelaide, Alice Springs, Brisbane, Broome, Cairns, Darwin, Hobart, Melbourne, Perth and Sydney. Or if you are you going to New Zealand, fret no more as Apollo offers campervans hire in Auckland and Christchurch. In the USA, vehicles are available in Denver, Los Angeles, Las Vegas and San Francisco. While in Canada, you can pick up your campervan in Calgary, Edmonton, Halifax, Montreal, Toronto, Vancouver and Whitehorse. Campervans, 2 berth and 4 berths. Motorhomes, 4 berths or 6 berths. 4WD Campers, adventurer or trailfinder campers.